The best thing to come out of Star Wars: The Phantom Menace was an N64 game. Racer was a unique product: a movie tie-in game which wasn’t awful. Care, attention and some actual thought had gone into Racer and because of this it was one of the best racing games on the console and one of my favourite games of all time. The success was that it seemed to capture the experience that was felt watching the Pod-Racing in the The Phantom Menace but this time placing you in direct control. This didn’t feel like a poor relation to the movie either. It had characters, racers and the soundtrack that fit the scene it was inspired by. After the rolling text (a Star Wars must) came the character selection. The impressive aspect was that all the characters that appeared in the scene, with their individual racers, were featured. They all had different attributes, speed, handling, etc. but the all-rounder and my personal favourite was always Anakin Skywalker. On picking the character you got a small sound-bite, which was the most irritating part of the game as throughout the race you had to hear young Jake Lloyd’s voice “yippeeing” and whining depending on how well you were doing in the race. There was more depth to the game than just picking the racer though. The more races you won, the more coins you got and then you could upgrade your racer. If you were like me, who played everyday after school religiously for months on end, then soon you had a pretty formidable racer. None of that would matter if the gameplay wasn’t up to scratch. Luckily, the developers didn’t skimp on this area either. Racer had 25 different tracks, all with different features that affected the way you raced. The starting track was the one from the movie, Tatooine, but also featured were snow tracks, tracks set in space stations or on volcanic planets. Each had their own secrets, from timing jumps for speed boosts, short-cuts or environments which could affect the Pods. The Pod-Racers weren’t indestructible either. Just like in the movie, in-race repairs were essential and constantly battering the different parts of the Pod-Racer would cause alerts to flash, parts of your ship to flash with warnings and your need to repair (a process which slowed you down). Get too reckless and your racer would explode in a fireball, much like in the movie. That was likely to happen too. The racing is fast. Depending on your need for speed and “realism” you had four camera options. Two of them placed you firmly and safely behind the racer, with your vehicle in full sight on-screen. For the purists who want to feel what it is like to be inside the Pod-Racer there was a first-person view and a vehicle view which took away all the racer and just gave you the environment, at full speed, to navigate. It surprisingly captured the speed of the racing very well and was too quick for my tastes. Like any racer, the replay value was good as well. 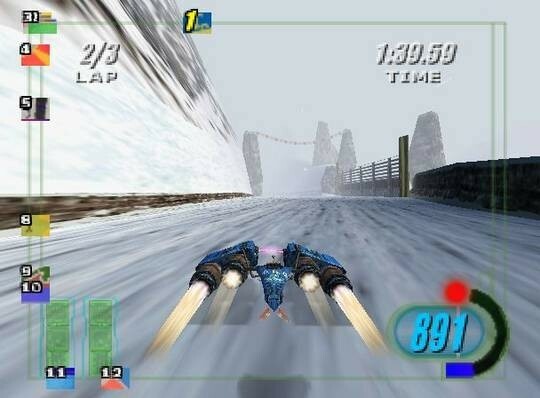 At least three tournaments to unlock and win, other unlockable aspects, including parts for the racers and tracks and then time trials and multiplayer made this one of the better games on the N64 and probably the best racer (which wasn’t Mario Kart). 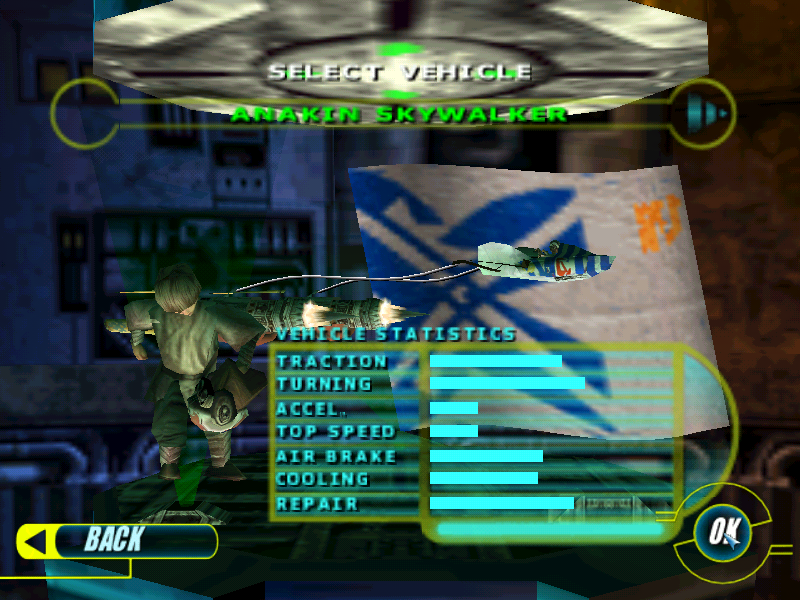 Overall, Star Wars Episode 1: Racer is a missed but not forgotten game that could do well with an update and resurgence on current generation consoles. It had faithful links with the film that inspired it, great gameplay and captured the best aspects of one of the better scenes in The Phantom Menace. It is shame that the movie did so poorly as it may just have killed off this excellent game with it.